How did you transition from ceramics to small scale works of pottery? I’ve always been interested in small detailed things; before I became a potter I worked in stone as a lapidary and made jewelry. 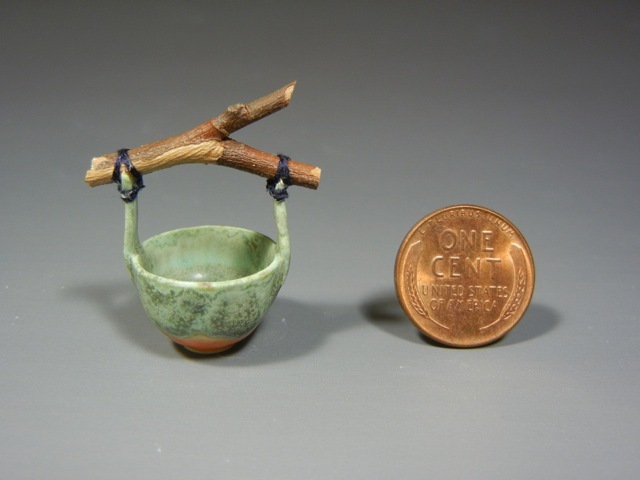 After learning to form clay on a potter’s wheel I started making smaller and smaller pottery challenging myself to see how small a vessel I could make. In 1993, I saw an article about Andrea Fabrega and her miniature porcelain and that showed me that anything was possible and my more intense pursuits began at that time. While selling my small pottery in a Santa Barbara gift shop in 1994 a local dollhouse miniaturist started collecting my work and suggested I focus on 1:12 scale. I started selling at miniature shows the following year. 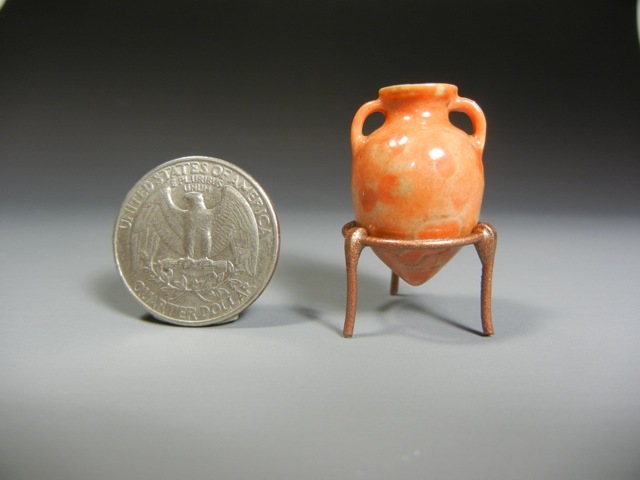 Today I make both 1:12 scale miniatures and life-size functional pottery.